Having just recently bought the first road bike I’d ever owned, and it being my first year on the triathlon team I was pretty pumped for Bike Camp, and it did not disappoint in any aspect. 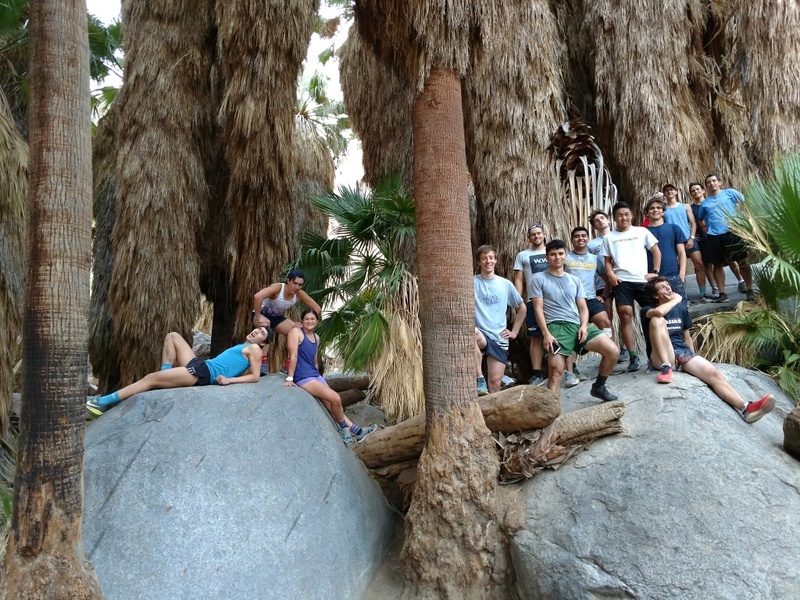 It was a fantastic weekend of biking and running in the desert all while getting closer to an amazing team. You wouldn’t think that deserts would be nice places to exercise but Anza Borrego State Park was a great location for bike camp. Shortly after I arrived Saturday afternoon the team planned a run/hike up onto a steep ridge near the campsite which provided a spectacular view of the landscape we would be cycling the next day. I stared in awe at the rocky peaks and steep canyons around the campsite and the gently rolling hills stretching for miles in the other direction. All I could think about was getting onto my bike and riding out there the next day. After soaking in the view we ran back down the ridge to camp and drove into town to get dinner. Back at camp the whole team gathered around the campfire as a team for the evening. Some people had tents to sleep in but I wanted to sleep out under the stars, and even through the cold was worth it. The absence of the pollution and light of San Diego revealed a spectacular sky of stars to sleep under. Sunday’s ride was a blast, and so was Monday’s. Waking up as soon as the sun was up, we headed out into the desert shortly after. Under the hot sun and through steady winds I enjoyed every minute of it, even the minutes up the long hill through the brutal crosswinds of the Monday ride. Just riding through and watching the scenery was enough. There were the rolling hills and distant cliffs to watch, and huge metal sculptures of horses, dinosaurs, and almost anything you could imagine scattered throughout the desert. The rides would have been fun even alone but they were made even better by pacelining together with my teammates. Enjoying the experience together and chatting as we rode I grew closer to many people I hadn’t known at all before. 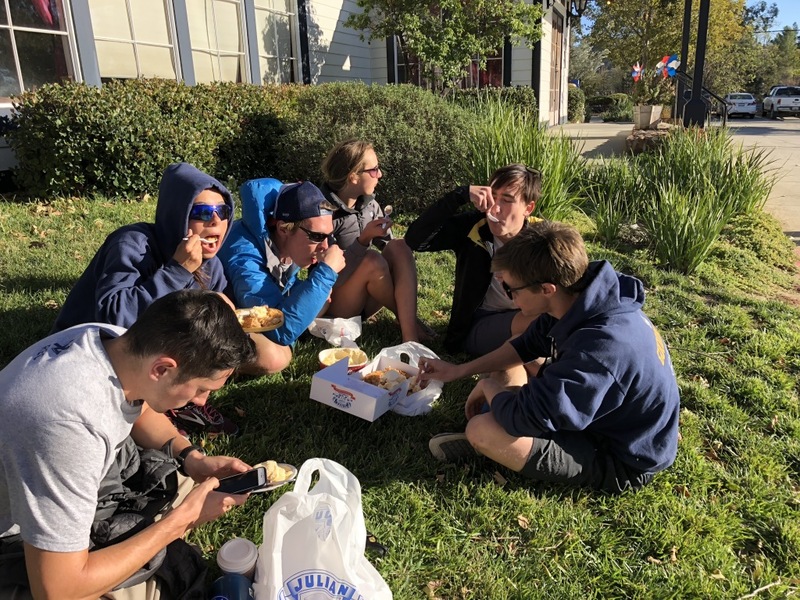 Even with all there was to be excited about, I was still exhausted from the amazing rides but there was plenty of good food in town to refuel with, and I impressed even myself with how many burritos I could eat. It would be so hard to choose a favorite part of the rides; it was all so incredibly enjoyable, and they’re the most fun rides I’ve been on. In short it was a pretty phenomenal weekend, good food, good friends, good fun, giving me such a great appreciation for biking, and such a great appreciation for this team. It’s gotten me so much more hyped for the start of the season, for races and just practicing more with my awesome teammates. A fantastic way to unwind after a couple of weeks of studying and midterms, I can’t wait to do it again next year. 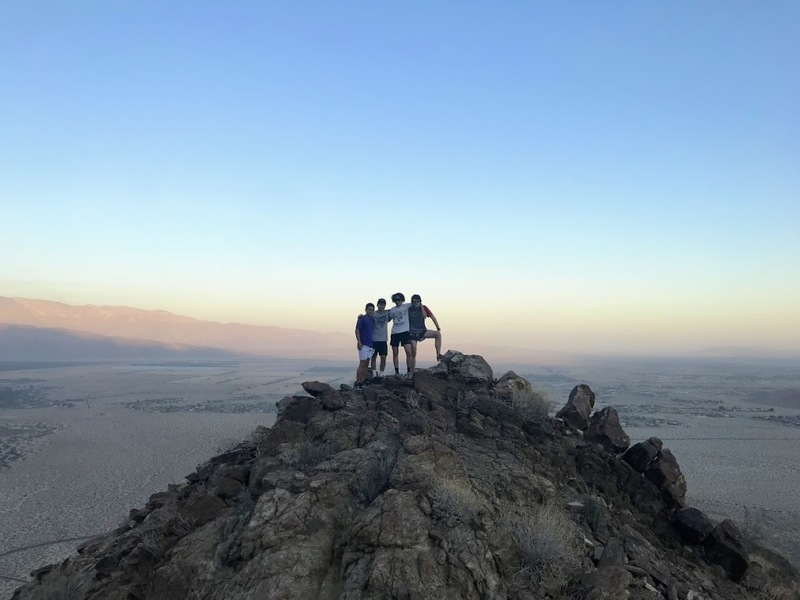 Being new to the team, as well as being new to California I was super excited to head away to Anza-Borrego Desert State Park for the annual bike camp. Some of the team headed away on Friday afternoon to start the camping weekend early and to get an advanced ride in early Saturday morning. I headed away on Saturday morning with Jasmine. When we arrived, everything was setup and the team had just come back from a run around the campsite. The sunset early and so by 5PM it was already dark. The team relaxed for the evening around the campfire while Sofia made quesadillas for everyone. As the sun rose at 5.30AM on Sunday we were all up early and eager to get the first team ride in. We set off at 8AM, I began cycling out of the park but unfortunately one of our new members Jill had a bad fall and we had to postpone our start to wait for medical attention. Finally, at 9.10AM Liezl and I head off in the same direction as the rest of team mates. Post cycle we all filled our bellies with a well-deserved burrito for lunch and headed back to camp for some technical skills and bike maintenance. Late afternoon some team members were done in for the day, while the rest ran up to an amazing oasis only 1.5 miles from camp. Saturday evening was filled with laughter as we had a team dinner in a local Mexican restaurant. Great team bonding! Followed by the compulsory s’more making, the first s’more for the two Aussie twins. Sunday morning saw a few fragile heads climb out of bed and face packing up camp. We worked well together and got the camp cleared by 8AM. After congregating at Christmas Circle we head off in our packs to climb up Yaqui Pass. This was a great climb and an even better descent. Finally, on our way home we stopped for pizza and apple pie to carbo-load just in case we felt we didn’t get enough throughout the weekend. Sad to say that was my only bike camp, but I thoroughly enjoyed the weekend. Stopping for pie on the way home? Mandatory.